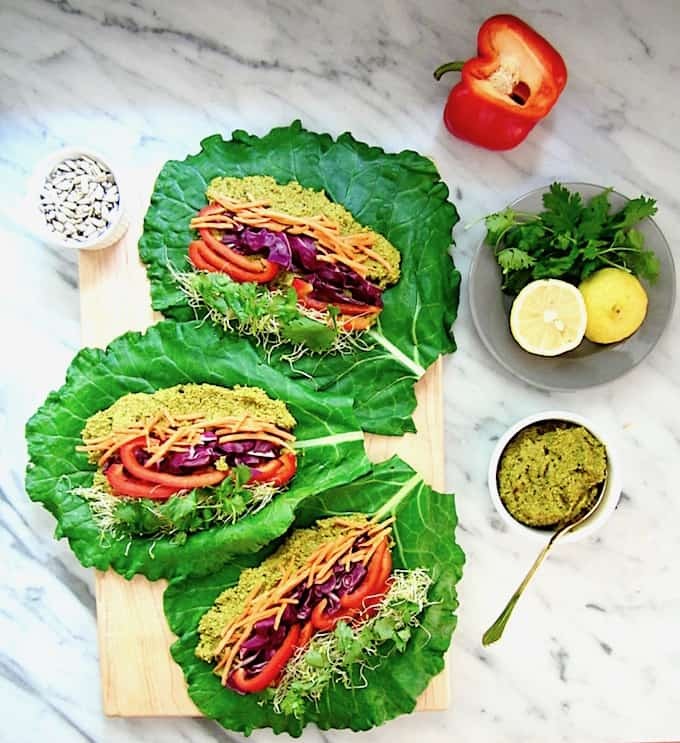 This Raw Rainbow Collard Green Wraps with Curry Sunflower Seeds recipe is a super healthy, crunchy lunch you can make ahead that will leave you feeling fresh & energized. They’re customizable with whatever veggies you want, low carb and friendly for all diets! 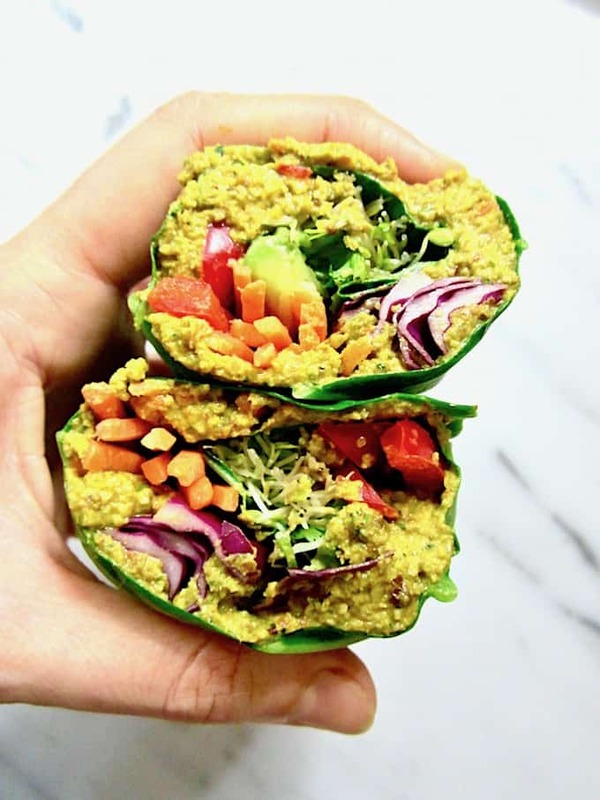 What’s to love about these wraps? They’re customizable – use whatever veggies or fruit you want! 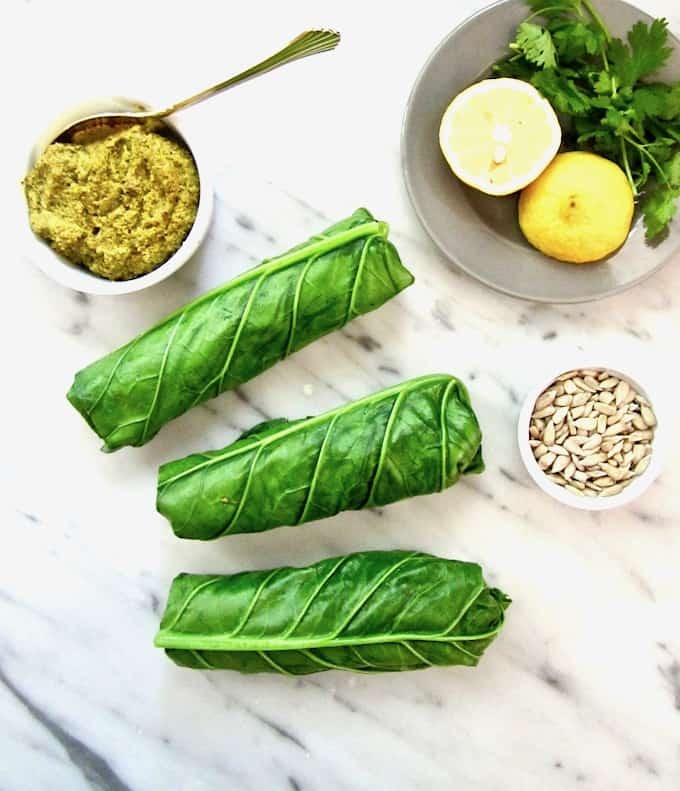 You can even mix up the flavor in the curry sunflower seeds, using different spices like cumin and chili powder to create Mexican wraps, or a ton of fresh herbs like parsley and basil with some sun dried tomatoes to go Italian. You can make them ahead – perfect for packed lunches or a grab-and-go snack. 1) Combine sunflower seeds in a food processor with herbs, spice and some veggies to create a pâté-like mixture. You don’t need to cut the ingredients too finely as they will get mixed together, so largely chopped is fine. 2. Blanch the collard green leaves in hot water for 10 seconds to make them more pliable. 3. Chop the remaining veggies/herbs/fruit. 4. Spread the pâté, layer in the veggies and roll it up! Interested in learning more about raw food preparation? 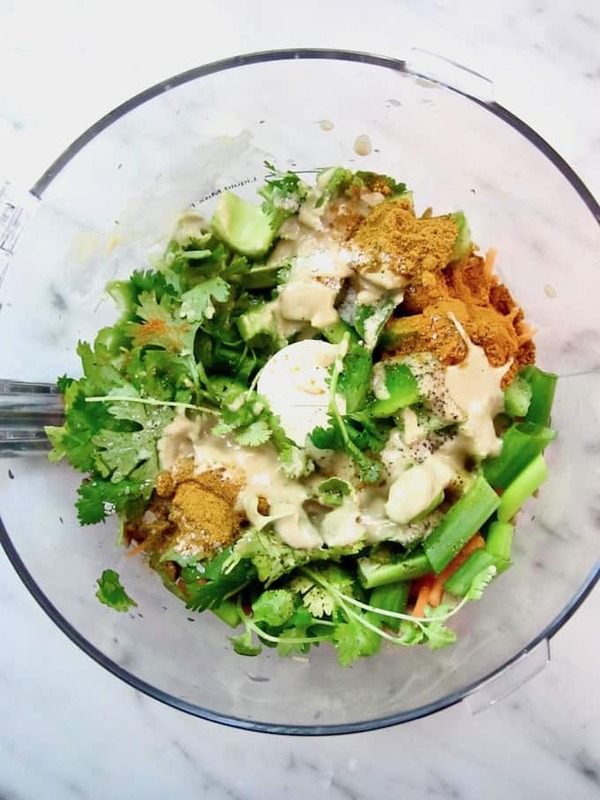 Raw Food Fundamentals – superfood smoothies + elixirs + tonics, pates, salads, pastas, soup, plant cheeses, dehydrator crackers + granola, dehydrator pizza + tacos, plant milks, sauces, mains, fermenting 101 and – last but certainly not least – raw desserts! Each course is comprised of in-depth videos that you can complete at your own pace, and you’ll also receive recipes, interactive photos, fun quizzes at the end of each lesson, a private Facebook group AND, if you complete everything, you’ll be rewarded with certification as a Level 1 Vegan Fusion Chef! If you want to learn more about vegan and/or raw food preparation fundamentals, I highly recommend these easy to follow courses. Mark has been described by Publishers Weekly as, “…The male equivalent to a vegan Rachael Ray – his recipes are flavorful and approachable and certainly have the same potential for mass appeal.” So – join him today! Using the code SNEWMAN, you can get 40% OFF EITHER OR BOTH courses, which equates to $100 off the bundle or $50 off either one you choose! That’s only $150 for both courses. Simply click here to register with your special code! Experts say to ‘eat the rainbow’ for optimal health, right? 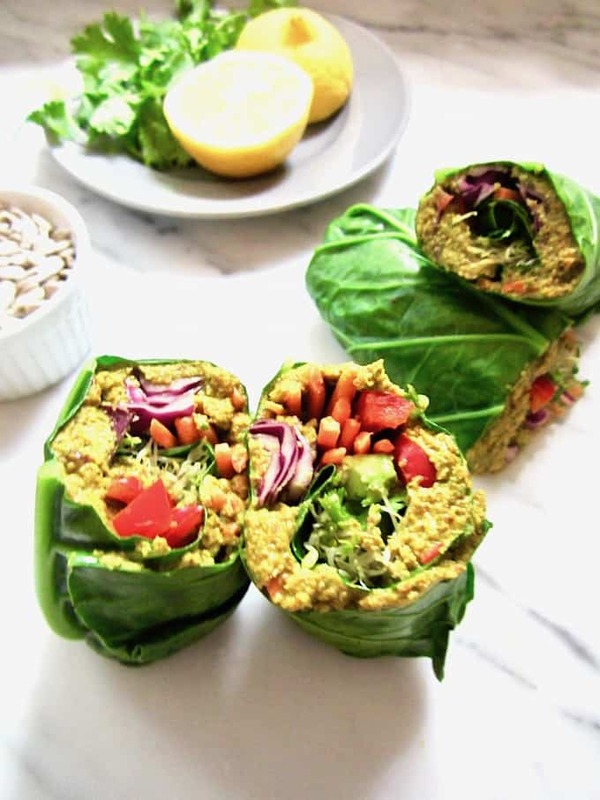 Now, let’s dive into these colorful collard green wraps with curry sunflower seeds! 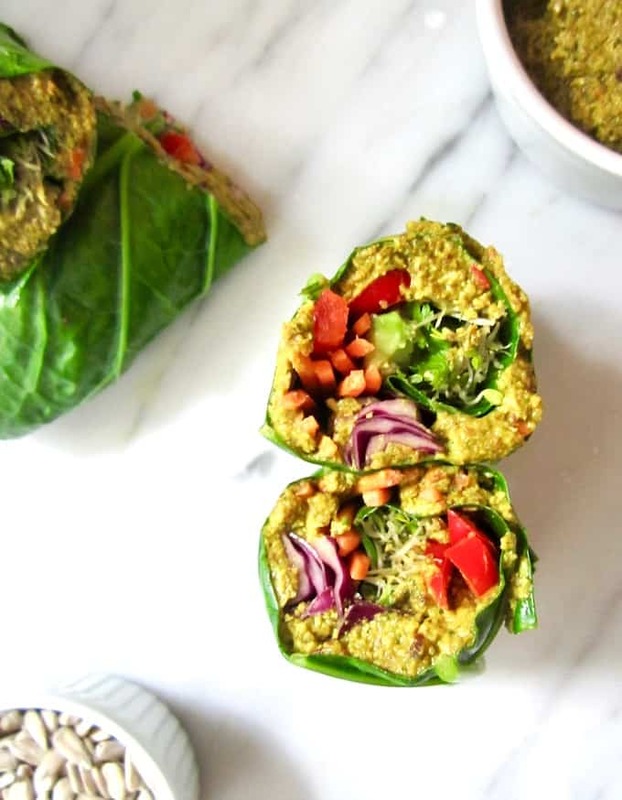 A super healthy, crunchy lunch you can make ahead that will leave you feeling fresh & energized. It’s customizable with whatever veggies you want, low carb and friendly for all diets! Combine all ingredients under sunflower seed mixture into a food processor. Mix until you get your desired consistency. I like mine well mixed but still a touch chunky. Cut whatever other veggies you are using for the wraps and set aside. For the collard wraps - chop off the collard green stem ends. Bring a pot of water to almost boiling, then blanch the leaves for 10 seconds, using tongs to remove them from the hot pot. Blanching the leaves first makes them more pliable. Assemble and roll: Spread the sunflower seed mixture along the middle of the leaves (see photo). Add veggies on top. Fold in the right and left sides, then fold up the side closest to you. Tightly roll in the direction away from you. Cut in half and enjoy! I made these 24 hours in advance and they kept fine (the leaves lost a tiny bit of crunch but I was still happy with it). The sunflower seed mixture will last for 5 days in the fridge. *I recommend soaking the sunflower seeds in warm water for at least 30 minutes on the counter, up to overnight. Soaking nuts and seeds first helps aids in digestion (but it's not necessary for this recipe if not). Make sure you ALWAYS DUMP THE SOAKING WATER when you drain the bowl - don't reuse. This post contains affiliate links. 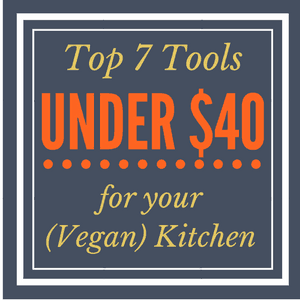 If you make a purchase on Amazon or with the Vegetarian Times after clicking one of my links, your costs stays the same but I receive a small commission to help support Vegan Chickpea. Thank you for your support! These look amazing! Such beautiful colours and interesting flavours! Ach, I just came back from my long run and I would give anything to have this wonderful rainbow wrap right in front of me. I guess I need to plan for this next week! Oooh these would be a GREAT post-run snack/meal! Protein and veggies, and refreshing and crisp - yes! Mmm that will keep you nice and full all day! 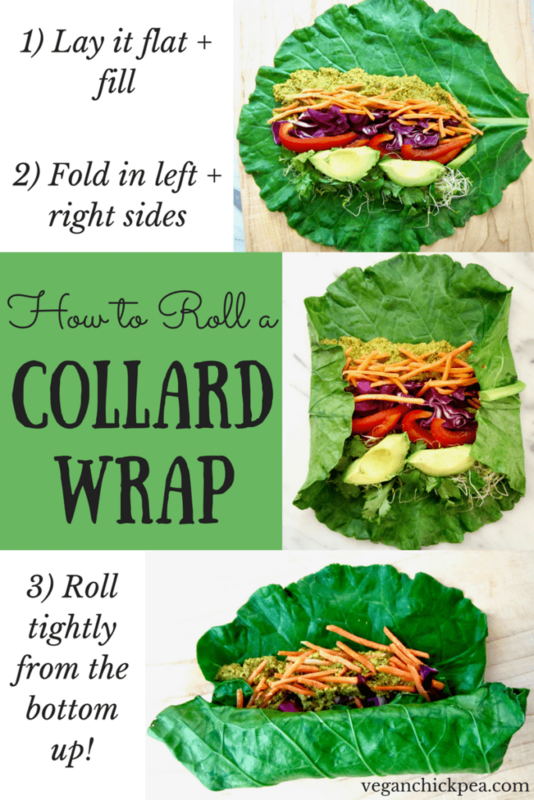 I always find collard wraps so filling! Yum, Yum and Yum! These wraps look so good. They are perfect for lunch and dinner! I agree! ;) Thanks for commenting Juli! What a fab use of these ingredients. This sounds like the perfect sort of wrap for me. Just love the sound of it. That's awesome Trinity, glad you appreciate this recipe. Let me know if you try it! Such quick and easy delicious lunch idea! These sound so refreshing, and I am in LOVE with the colors! Thank you! I always seem to forget about collards wraps and then when I eat them I think, "Why do I not eat these more often?!" So healthy and delicious. They look delicious. But to keep them RAW, do NOT blanch the collard leaves. Instead, you can soak in lemon water, or (what I do) is; rinse the leaves well, then lay them on dehydrator tray racks and dehydrate at about 110 while preparing the fillings. Only takes about 10-15 minutes or so to soften the leaves.